We are super excited to announce the launch of ‘Understanding Internet Rights’ which is an excellent resource for journalists to be specific but in general, anyone who is interested to know more about digital rights and the laws that govern cyber-space in Pakistan. 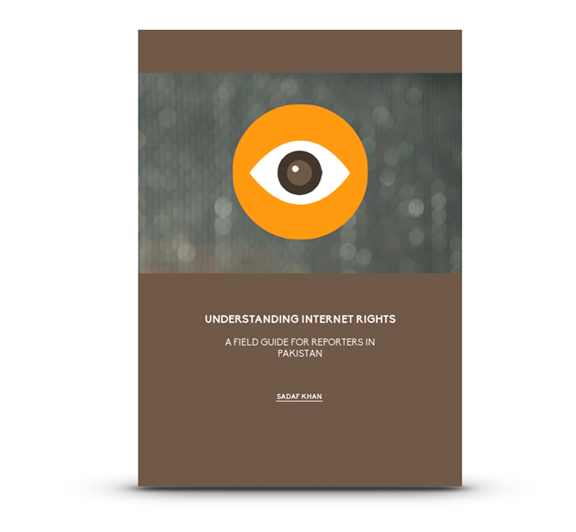 Through this field guide, we aim to assist media professionals in enhancing their understanding of digital rights, internet governance, digital economy and various other related issues in helping produce a more nuanced journalists content around these issues. The field guide is based on the Internet Rights principle of Association for Progressive Communications, APC and is primarily authored by Sadaf Khan, the Director Programs of Media Matters for Democracy. Sadaf has a degree in Development Communications from LSE and has nearly a decade of experience in media and digital rights advocacy.